You will discover the neighborhoods and key monuments of Paris during a pleasant excursion in the early evening. 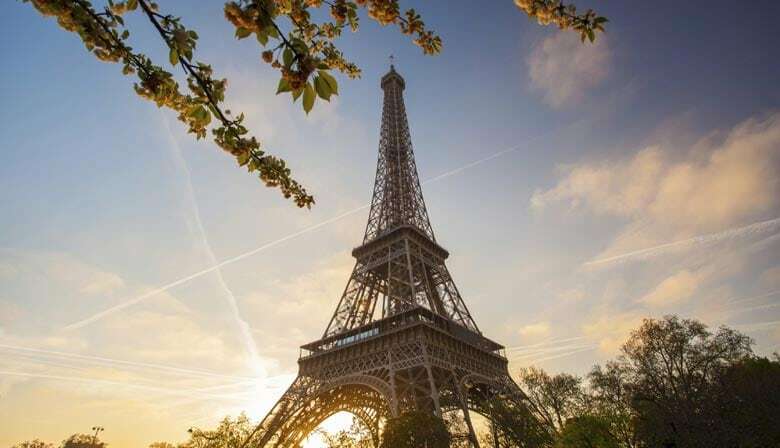 You will enjoy a pleasant city tour in a panoramic bus, a charming cruise on the Seine and an exceptional view from the top of the Eiffel Tower. You will show up to ParARISCityVISION agency where you will leave from, for a complete evening Paris sightseeing tour. Boarding a panomaric bus city tour, you will discover the greatest neighborhoods and Paris landmarks: the Eiffel Tower, the Ile de la Cité and Notre-Dame de Paris, the Invalides, the Latin Quarter and many others. You will see the habits of Parisians and understand how they perceive their city. You will len the history of Paris and the evolution of its architecture through fascinating anecdotes with individual headphones. You will then embark for an hour-long audio guided Seine river cruise on a fully glazed boat. You can soak up the charm of Paris over the water while admiring the beautiful bridges that cross the Seine and the great monuments along the borders. Your priority access to the Eiffel Tower will allow you to climb up to the second floor easily by avoiding as much as possible the long queues at the elevator. You will then reach the second floor of this iconic French monument made by Gustave Eiffel for the 1889 Universal Exhibition. Depending on the time of year, you will see or not the illuminated monuments and will enjoy freely this exceptional 360 ° panorama. End of the tour at the Eiffel Tower. The tour starts either by the Seine river cruise or by the Eiffel Tower. The city tour ends at the Eiffel Tower. Ok. Audio tour was problematic and relied on your having a smartphone. Even with one, the reception was somewhat episodic.city Tour was fine. Tour guide rushed Eiffel Tower so, despite quick visit to second floor, and skipping 1st entirely and hurrying back, we still couldn’t get to bus so we’re left behind at 10:15 pm. Tour guide was NOT good. A must do in Paris. Paris at night with all the lights....you got to see it!